Author(s) Thurber, Mark C.; Morse, Richard K.
Coal has been the world's fastest-growing energy source in absolute terms for over a decade. Coal also emits more CO2 than any other fossil fuel and contributes to serious air pollution problems in many regions of the world. If we hope to satisfy the demand for affordable energy in emerging economies while protecting the environment we need to develop a keen understanding of the market that supplies coal. This book offers an in-depth analysis of the key producers and consumers that will most influence coal production, transport, and use in the future. 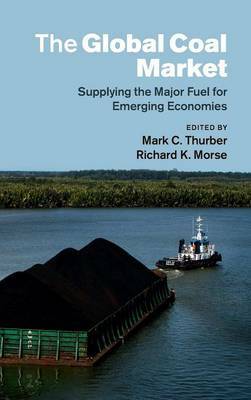 By exploring how countries such as China, India, Indonesia, Australia, and South Africa have developed their respective coal industries - and how these industries link together through the international coal trade - experts shed light on how the global coal market may evolve, and the economic and environmental implications. This book is the most comprehensive treatment of these topics to date and will appeal to a wide readership, including scholars and practitioners working on energy economics and policy.